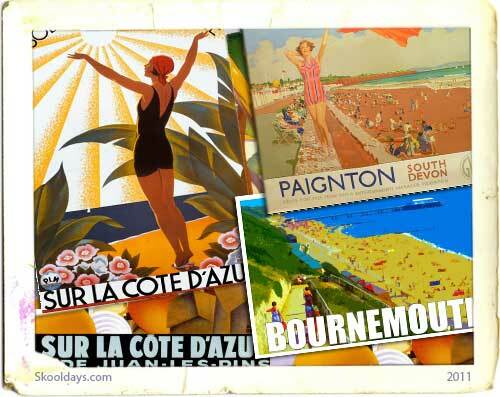 I just love the old vintage posters that used to encourage holiday makers to visit undiscovered areas of the country. Many were transport releted like the railway posters and various seaside resorts including Blackpool, Bournemouth and Scarborough. These antique Vintage Posters are truly an art form. They have become highly collectible and reproductions of some of the more famous posters are widely available on the web. AlaskaIceberg Vintage Travel Poster, Southern Pacific Railroad Vintage Train Poster, La Cote d’Azur and Monte Carlo. Even racing posters for the Grand Prix used this beautiful type of art. Interestingly there was recently a tutorial for producing these vintage posters from a digital photograph. This entry was posted in Pop Culture and tagged 1920, 1930, 1940, 1950, 1960 by Skooldays. Bookmark the permalink.